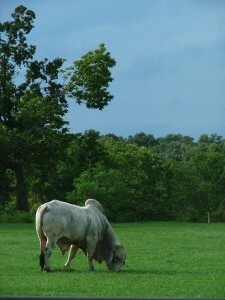 Silent G Ranch is a Registered American Brahman Program that believes seed stock production animals should be guaranteed to be fertile, sound, gentle, affordable and profitable. There is no reason to spend tens of thousands of dollars on an animal that is not proven. We have a selection of cattle that are bred from the foundation bloodlines in the Brahman breed and that have been culled to a core group of cattle that will work for any program. We want to provide our customers with cattle that we ourselves would retain in our herd. Selling someone a product that you don’t believe in yourself is not the way to do things. We guarantee that every animal on our property will be presented honestly and factually for your consideration. We have a tremendous calf crop available for you to select your next Show Prospect, Herd Sire prospect or your next set of Replacement Females . We aren't going to talk your ear off when you come to look at them, telling you what their great granddaddy won in 1972 or how their half maternal 3rd cousin was reserve division champion at the international show in 1988. We want you to select your cattle based on your wants and need. We are always available to advise or consult, or just to visit about what ever may be on your mind. At Silent G Ranch, we know that the best way to make progress is to simply be quiet, listen and let the cattle speak for themselves. 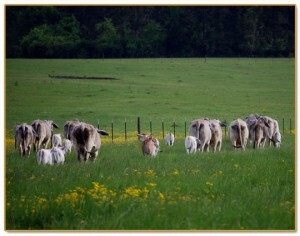 Click here to see our recent cattle photos!